pCloud Review - What Is pCloud And Is It A Scam Or Legit? pCloud Review: Is pCloud a scam? Definitely not. But what is pCloud? It's a great cloud service that takes pride in offering the highest protection available with unlimited download and upload speeds. While it had some bumps in the history it has improved a lot to the point where I can even say that it's one of the top cloud services. It's a product that I would recommend to anyone searching for an excellent cloud storage. The security is top notch, there's no limit to download speeds or the size of your files. The backup feature is there as well, but it's not one of the features that they take pride in. It's still quite useful and will satisfy your basic needs. It's also important to mention that you can backup your WordPress website and your social media accounts (Facebook, Instagram and Picassa). Backing up other cloud storages is also available (Dropbox, OneDrive, Google Drive). One of the best things about pCloud is that they don't use the storage of your PC to host files. With pCloud Drive, you have access to the files that are actually in the cloud. You can always "favourite" your files and that way store them for offline usage. You can read the full pCloud review down below. pCloud offers us some interesting options to pick from. If you're satisfied with your 10 GB mark you can stick with the free plan. Even more, you can increase that limit to 20 GB by doing various tasks like friend referrals, sharing their page or backing up your files from Facebook, Instagram etc. It also offers additional Crypto protection that will encrypt your sensitive files additionally. If you would like to get more storage you will just have to upgrade your plan which I think has decent prices. Download Link Traffic - This is the traffic generated when other people stream/download content from your public download links. Once the limits are surpassed they won't be able to download from your links anymore, until you either upgrade your plan or the next month begins. They also offer a 10 days money back guarantee. pCloud also offers lifetime plans. You can either go with their special or mega offer which includes lifetime storage for a one-time payment. You can read more about pCloud Lifetime Special & Mega offer here. If you wish to check out the business side of pCloud click here. With this Christmas offer you receive 2 TB of storage, extended file history and the crypto protection. Click here to get the offer. This is the 2017 Black Friday offer that you can claim by clicking here. This is the latest time-limited offer from pCloud. You basically get 2 TB of storage and their crypto plan for half the price. Click here to claim the offer. pCloud is a cloud storage appropriate for any user. Whether you're a businessman or just an average user you'll be satisfied with this product. While we can say it's Dropbox's little brother I believe that will change sooner or later. It offers a lot of features and is available on almost all platforms. 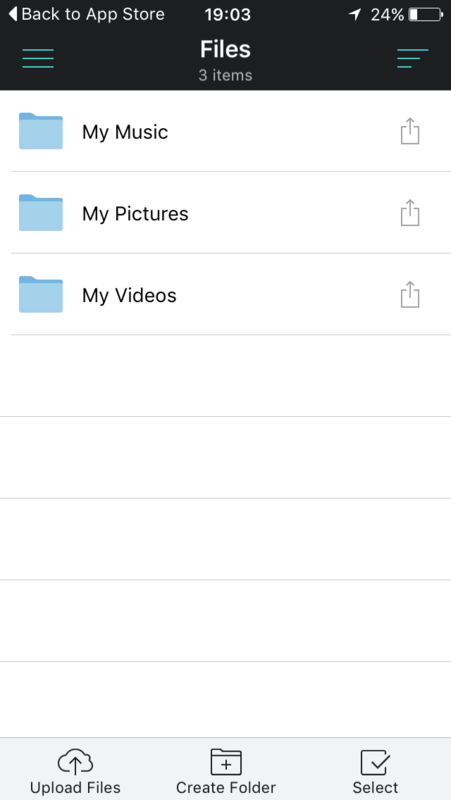 The backup feature isn't the best out there, but you can definitely backup your photos and videos from your mobile or even backup Facebook, Instagram and other social platforms. What is interesting as well is that you can backup the Dropbox itself. How ironic is that? While there are so many good sides of this service, there will always be a bad side. It misses some sharing features (teams and groups) in the free version or even premium version of the model. You will have to choose the business plan for that. Apart from that pCloud is a great service that takes pride in assuring it's users the best security measures that are currently available. I guess I could also mention the pCloud Crypto challenge. The founders of pCloud have given hackers around the world a challenge to hack into their Crypto protection. Nobody managed to pass their protection. Click Here to read more about the crypto challenge. pCloud is available on Windows, Mac and Linux. It is relatively easy to use, just like Dropbox. It is in many ways similar to Dropbox. The user interface is very friendly and looks nice. If you want to upload something you just simply click on the upload button or drag the file inside. It also offers easy file sharing and encryption of your files, which will be explained further in the review. The interface itself feels very responsive and the service itself offers decent upload and download speeds. pCloud Drive is a desktop application that they have developed for their users to make the syncing process easier. It allows you to expand your computer with an additional virtual drive. All the files that you upload to that folder are then available to you on any other device, even in offline mode. One additional interesting feature that this has to offer is for you to share your files directly from that virtual drive. You can also access your pCloud Drive from the taskbar directly from where you can manage your Drive and set it up, however, you want to. 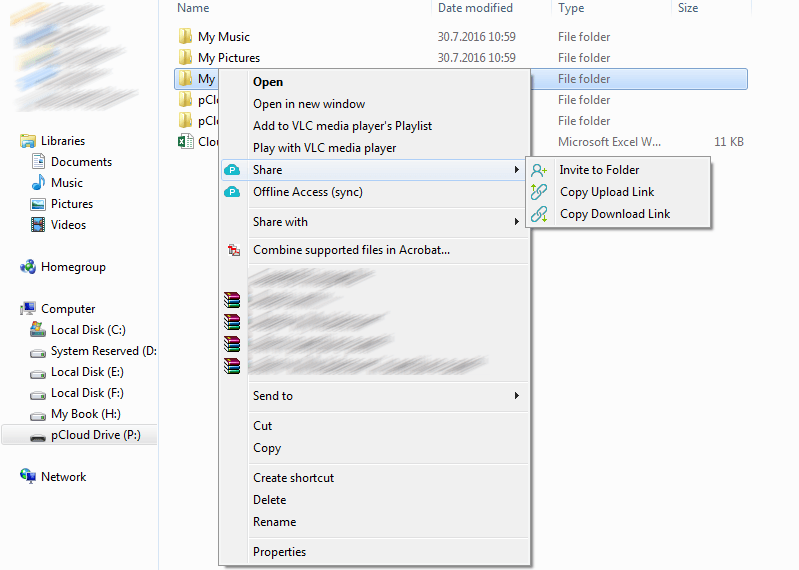 Invite to a folder - This allows your friends to view and modify the files as if they were their own. 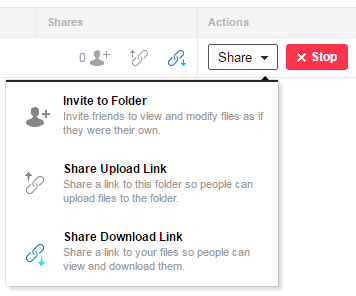 Share upload link - People will be able to upload files to your folder through the link that you have sent to them. Share download link - People will be able to view and download anything from the folder. 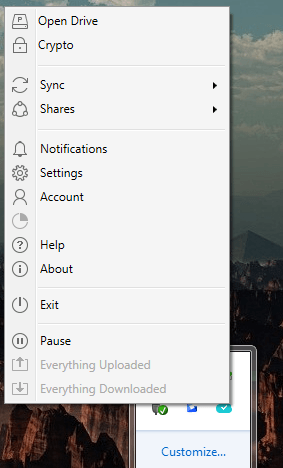 One interesting feature that comes with this is that you can stop the sharing at any moment. You just press the "stop" button and the link gets terminated. 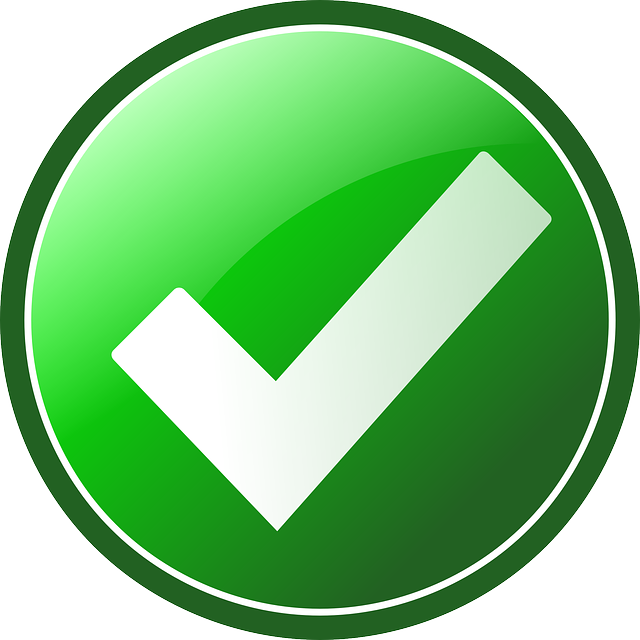 Pro users can also password-protect their links or add an expiration date to them, which is a very useful feature. Getting your files back after you have already deleted them is a simple task. Your deleted files are in the free version stored for 30 days, however, you can't retrieve them after 24 hours unless you upgrade to premium. Files are retrievable in the premium version for 90 days and in the premium plus version for 180 days. The same timings can be applied for retrieving older versions of your files. You can also delete your backups permanently. pCloud also has a Rewind feature which is explained further down the post. Is pCloud safe to use? The answer lies in their Crypto protection and good backup system. Servers are mostly located in the US, with cache and proxy servers in several points in EU. Every single file is divided and stored in 15 different racks and servers. The system is live with up to 5 racks/servers down. To guarantee your files' safety, pCloud uses TLS/SSL encryption, applied when information is transferred from your device to the pCloud servers. With pCloud, your files are stored on at least three server locations in a highly secure data storage area. Optionally, you can subscribe to pCloud Crypto and have your most important files encrypted and password protected. They provide the so-called client-side encryption, which, unlike server-side encryption, means that no one, except you, will have the keys for file decryption. pCloud offers no two-factor authentication. They have no security breaches on their record and it looks like it will stay that way. pCloud offers an extensive FAQ base with hundreds of questions answered. There's a high chance that one of the questions you have will be amongst them. If your question isn't there you can still contact their support team which usually answers the same day, unless you sent the e-mail in late hours. They're usually very helpful and provide useful feedback. After contacting them personally they made a great impression on me, proving that they do care about their own customers. What it does sadly lack is the option for you to call them directly if you need technical support. pCloud allows you to manually set your upload and download speed limits in the settings tab. This is very useful in case you're downloading something else in the meantime. By default these settings are set to unlimited which is a great feature, unfortunately, that's not the only thing your download and upload speeds depend on. It all comes down to the speeds achievable by your internet provider. The public folder can be used to replace the popular image hosting websites like Imgur.com. 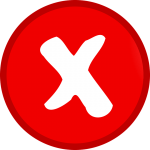 Every image that you upload to this folder has its own link which means you can use it to embed it in your website, forums or send it to your friend. It's also important to mention that you need to have Premium access to use this feature. They also give you a 7-day trial. 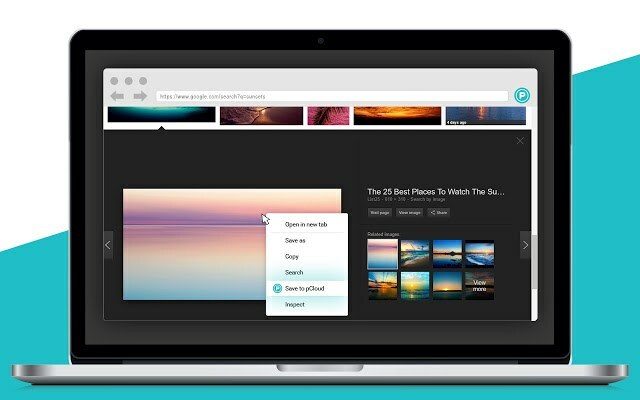 pCloud Save is an extension for Google Chrome and add-on for Firefox that allows you to save images from the web directly to the cloud. You can also select any paragraph or a bunch of text and save it as a Word document directly to the cloud. I find this tool to be extremely helpful and it just works as explained. pCloud Rewind is a feature that allows you to go back in time for up to 180 days and revert all the changes that were made during that time. Consider this as "visiting" your old account, and you can bring back any file that existed at that point. Free - You can browse up to 30 days back, however, you won't be able to restore any files unless you upgrade to Premium or Premium Plus. Premium - Downloading and restoring files that you see with Rewind up to 90 days. Premium Plus - Downloading and restoring files that you see with Rewind up to 180 days. When compared to Dropbox it has a few differences. While Dropbox offers features like "Teams" and "Paper" in the free version already, those features come with pCloud if you choose to upgrade to a business plan. To be honest with you I, for example, don't need those features in my line of work. But I do believe that there's a lot of you that do. You can try out the Business plan for 30 days and then decide whether it's worth upgrading to that. It gives you access to creating your own teams and team specific folders. You can then create shared folders and allow your workers to comment on the files as they work. All activity is recorded in activity logs from where you can also get older versions of the files. The pCloud Crypto plan comes for free with any Business plan, to make sure your files have the highest level of security. The full review of the business side of pCloud can be found here. pCloud offers you a feature that allows you to download files from the web directly. What does this mean? Let us say you find a video that you wish to download. You just take the download link and paste it into pCloud's upload manager. While you're doing this you need to have the remote download button preselected. The video then gets downloaded to your pCloud storage. Since the file is being downloaded directly from the servers of the provider, it allows you to achieve greater speeds (up to 100 megabytes/s if your internet provider is good). Many people don't even know that this feature exists. The pCloud mobile application is available for iOS, Android systems and Windows Mobile. You can also get the non-official app for Blackberry here. The interface itself looks very organised and friendly. The application gives you the ability to automatically backup your photos and videos which is always a good thing. You also have the option to automatically delete photos on your mobile when they're uploaded to the cloud and that way saving up precious storage. Apart from that, you can do whatever you do on your desktop, in the application as well. Conclusion - SCAM or LEGIT? pCloud is a decent service. It came to the market a lot later than Dropbox did and we can say that it quite matches it if not even more. In some of the fields, it lacks some additional features in the free version, but that negative aftertaste can be minimised when we consider how much the company gives into making sure that your files are kept securely. It also offers great upload and download speeds, compared to its rivals. While pCloud remains the underdog it already has 7.600.000+ users and that base continues to grow. I believe that they will keep working on improving their features and will sooner or later outrun Dropbox. Hopefully, we discovered all the little things that pCloud has to offer within this pCloud review. You should try it out, it's free after all. Hopefully, we've gone through everything that you wanted to know about pCloud within this pCloud review. If you have any unanswered questions feel free to ask them in the comments section down below and I'll answer them shortly! I am using Pcloud for a long time now. Always doing its job well. But for some weeks I have serious problems. I never know if files are really saved to the pcloud-drive. Support is not able to fix it till now. For now I would not recommend it for dailly basis. The 50% offers is not valid anymore. If you have an indepth knowledge of the company, could you please provide me with a direct email address of their legal team? Most companies worldwide have this. Or a direct phone number. After such huge extensive research about the company, I assume you have this information… as so far ive not seen it anywhere else on the internet. They don’t list it anywhere on the website, as the FAQ section isn’t all that great for any actual depthful questions about technical stuff to do with the running of their software or website. Nor is it listed in their ICANN information, as that data is hidden. I am really interested to understand how pcloud manage the servers. Do you know if pcloud are managing their own servers ? or subcontracting to a third party ? Do you know where these servers are located ? I read different information : In the US (Patriot Act applies), in Eastern Europe, in Switzerland. They indeed have servers located in the US as well. Hi, I’ve looked into your pCloud review, and I’ve also read another one of your articles that covers their service, and I feel they are an option I should take further. The one confusing point I have is from your price graphic in the article above. It seems to indicate that the Crypto plan is exactly the same as the free plan…but doesn’t offer anything more for the price. Why is that? Have I missed something? Cheers for your response in advance! The crypto plan offers the so called client-side encryption as additional protection for your files if you need it. That comes in a form of a Crypto folder where you can store such files. Hope that clears it up. I will consider doing a comparison article between pCloud and Dropbox since that seems to be in high demand. Thanks for the suggestion. I’m a little late to the party, but I was wondering if there was any way to hide the existence of the encrypted folder. I don’t believe that’s possible via any features implemented directly into the pCloud client but it should be possible via another route. Don’t know how that’s compatible with the pCloud crypto folder. Let me know if you work it out. 1. I recently signed up for a premium account. It works fine on Chrome, but on my other computer, a win10 computer, it won’t open saying that I have no internet connection (untrue). 2. To backup my win10 computer, I use Acronis True Image. Can I then upload the Acronis file to pcloud for storage? Is there a better way to save complete backups of hard drives? It should definitely work on your other Win10 computer. I imagine you’ve already resolved the issue but if that’s not the case contact pCloud support and they’ll give you a hand. You can upload the Acronis file to pCloud for storage but all you’re doing is creating double work for yourself. I would in your place go with a backup storage that clones your drive directly to the cloud (I believe Acronis offers this feature as well). Or you can go with a cloud backup service like Backblaze or Carbonite. I don’t clone my whole drives though, I store all my important media & documents in a cloud storage which means I can access them anywhere at any time. Depending on your needs, you could do the same. Very good syncing sppeds in Europe, mobile app is easy to use, excelent photo quality and streeming capability. More private than Drobox even witout crypo. More free space also. The size is acceptable, but there are some other services who offer way more storage. But pCloud is special because you also can get a crypto feature for your sensitive files. And $3.99 is a pretty reasonable price for anyone. Even the premium plus $7.99 is a STEAL and you get 2 TBs of storage space. Pretty decent if you ask me. Thanks for letting me know about this. I am always having problems with space on my computer. Can I use this like a hard drive? If you install their client you’ll be basically making a virtual drive within your computer to which you can then upload files. It’s more or less like having another hard drive in your computer. And as you’ve said, your files are then safe if your computer suddenly dies. I must admit the fact that am actually very new when it comes to the cloud storage. Am used to backing up documents on the outdated CDs, flash drive and external memory storage. I think I need to get acquinted to cloud storage as soon as possible and this article has provided enough information. However, one thing that bothers me is about security of my stored information. How do I make sure that my account is absolutely safe from any online intrusion? You have to make sure that you’re either using a cloud storage that ensures your data is safe (which means they encrypt the data for you) or simply encrypt the data you upload yourself. Both of the options are perfectly fine, the latter being more time consuming but if you’re a guy that wants to have everything under control might as well do that. Although you get great security with pCloud or Sync.com. Thank you for the very thorough review of pCloud, Dejan. I hadn’t heard of it before this article, and I’m amazed I haven’t since it has 7.6 mil users. I’m always looking for the least expensive – and most trustworthy – sites to store my media. It seems like a very nice alternative to Dropbox, too (which I’m not a huge fan of). I’m off to read your review on Sync as well – that looks really interesting! Thanks for this great post. Let me know if you run into any questions or problems. I’ll be more than happy to help. What should I do? If I do not allow to install, then I got an error message, but there are noone on the net who had this extra stuff installed. I’ve sent an email to pCloud inquiring about this and will get back to you once I receive a reply. Doing some quick research on the web, it’s obvious that Eldos Corporation is some kind of company that develops software components for data protection, secure storage, and data transfer. I can’t remember if I had to install it at the start but I am fairly sure it’s safe to install it. I’ll make sure to get back to you once I receive a reply. I’ll notify you when I post a reply to your email. I could download the drive instal file, but it gets frozen and doesn’t install. I have MacBook. In my second. MacBook the i9nstal file it doesn’t even download. you click it it does nothing. I’d like to switch to a 2T cloud service but if this is the beginning…. Did you resolve the issue yet? I had no problems when installing on Windows. I am sure they’ll help you resolve the issue. You have to install Fuse 3.7.1 first. I ran into this same issue. Once Fuse was installed, pcloud drive installed without issue. I enjoy your insight here at pCloud storage – Scam Or Legit and informing people that pCloud is not a scam. I used some cloud storage in the past but it doesn’t compare to pCloud. When I used a different cloud storage I didn’t get file syncing, file sharing and retrieving files. The benefits of using pCloud storage are obvious. Some cloud storage company’s out there should have some of these features like pCloud storage. Also, most cloud storage company’s do not even offer client-side protection. Every person’s sensitive files should be encrypted when using cloud storage. I will try pCloud cloud out to store files and have them properly encrypted. And try the different features on pCloud. I am glad you see the difference. Let me know if you run into any issues. Great review of pCloud. I’ve never been a fan of cloud services although I use Dropbox for sharing large collections of photos like weddings, family reunions, and large get-togethers with friends and family. After watching the video of the speed test, I’m seriously considering switching to pCloud. One of the things I like is the security. My business involves travel and I use a home PC, a laptop, and a cell phone. To store and transfer files amongst them I have a MyCloud 2TB drive. 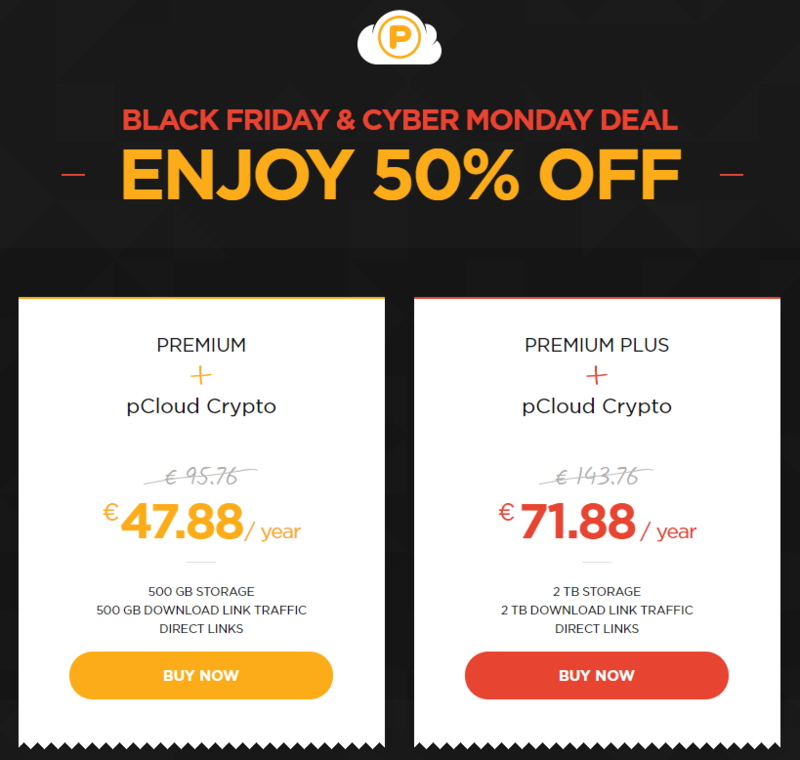 The problem with this set-up is security but with pCloud at a very reasonable price, especially the pCloud Crypto lifetime offer I think this would solve my security concern. The one feature it lacks is a back-up. MyCloud is synced to all my devices so anything I do offline is automatically transferred as soon as I reconnect to the internet and is available to all the other devices. pCloud was not designed as a backup cloud service, more of a cloud storage service. You still can use it as a backup though. Whatever you put into your pCloud Drive on your computer will get synced across all your devices. In addition to that, you can select any folder or file that is stored on your computer to keep it synced across your devices, without putting it inside your pCloud Drive. The difference between cloud backup and cloud sync is that cloud backup just uploads to the cloud servers and you can retrieve it from there at any point. Cloud sync does the same but it also synchronises it with all the devices at the same time. What you described is actually cloud sync and not cloud backup. Thanks for the reply clarifying the confusion. Sounds like pCloud does exactly what I want from it. I will be joining up to try it out and if it works for me, will upgrade for the added security. Thank you for your reviews, they are just great! Free users can only recover files from the trash within 24 hours of being deleted. They indeed are stored for 30 days but to get them after the 24 hours period you need to upgrade your account. I’ll be updating the review with your additional information. I knew about this, just forgot to mention it in the review. It certainly is important for all the free users. Thank you for the heads up. I always ZIP important or private files with AES-256 encryption…a password is required to unZIP. Isn’t that sufficient rather than having to pay a monthly fee for Crypto? I really appreciate all of your expertise and hard work on the various cloud services reviews. I bought a lifetime subscription to pCloud and am in the process of uploading all my files. – A cracker can crack the password or brute force their way in. It will take some time, but he’ll eventually succeed. Passwords are one of the weaker protections there is. – Anyone can also modify the files (adding files or replacing them) within a password protected ZIP without having the password. Now, if you are ok with what I’ve written above then ZIP is fine. The ZIP password protection is meant more for when you’re exchanging files with a wider public or a few of your friends and you don’t want everyone to have access to it. It was never meant as a serious 100% protection. You can read more about ZIP-password protected files in this article. There are other ways of encrypting your files more securely. One of them is obviously pCloud Crypto. There’s the monthly fee but at least you know your files are 100% secure. I can also recommend you the Boxcryptor.com which does pretty much what pCloud Crypto does for free. There are some limitations with the free plan so you’ll have to upgrade if you wish the full version. There are also other ways to just encrypt your files on your computer directly, however not that user-friendly. Also, thank you for the kind words. I do try to help my readers with choosing the best cloud storage and letting them know about any special deals like pCloud lifetime subscription. You can also subscribe to my newsletter if you wish to be informed about any special deals or news. Maybe consider doing a review on ‘Multcloud’. At first I was transferring files from Mediafire (MF) to pCloud (PC) using the ‘remote upload’ feature … copy a link from MF to PC, but it was time consuming and tedious, although the transfer was very fast for each file. I found Multicloud and at first was just using the free version, two threads and a 2TB limit. I paid for a month of service $7.99 and the transfers are going much faster than the free version (10 threads and no limit). It creates a tunnel between MF and PC (or whatever clouds that you want) so there is no downloading/uploading and your files are never on any other servers. They use 256 AES encryption during transit. Speed is basically dependent on the two cloud services, since your ISP is not involved. Once the transfer is set up, you can turn off your computer and the transfer will continue. It supports about 30 different cloud services. It can also act as a cloud service aggregate, so you can see all the folders and files on all of your cloud services, especially helpful if someone has multiple small/free accounts. It definitely removes the dread, wasted time and bandwidth if someone wants to change from one cloud service to another. I’ll be definitely looking into Multcloud and creating a review about it in the future. Thanks for the idea, it’s been added to the “TO DO” list. Thank you for subscribing to the newspaper as well. I didn’t know about this cloud service. I read your great review about the pCloud online storage and I must say that I agree with the things you wrote. I usually don’t trust cloud services but this system has really good security features.The free plan is very suitable for me so that is what I’ll choose. Thank you for introducing this cloud service to me. If you wish to further increase your security you should take a look into their Crypto protection which encrypts your files locally and prevents anyone from accessing them. If you would like to know more about client-side encryption just check out this article. Thank you for stopping by and I am glad I was able to help you out. There are several issues I have with pCloud. The description of the various levels of service on their website isincomplete. Basic service is completely missing (perhaps they’re trying to get out of providing free accounts). I tried inviting myself via another e-mail account to share a folder after I tried with another person’s e-mail address – no results for either. The self help FAQ’s are slim to useless. There is no troubleshooting guide. pCloud does not seem to be aimed at the professional user, only for the hobby user who doesn’t demand a solid and complete tool. Help is only be e-mail and sometimes it takes days to get an answer. That’s not a professional level of support. Why would I upgrade if I lose faith using a faulty tool? The internet is littered with dead angels. Better to try another cloud service first. It’s very odd that you came across this issues. I’ve tried sharing with myself and other people and tested their service completely and never came across a problem like that. You do get priority support if you decide to upgrade to premium, I received a reply from their support the following day with the basic account. In my experience, this is one of the best cloud services available right now. Thank you for sharing your opinion, though. It’s indeed one of the better cloud storages on the market at the moment. You musn’t judge a cloud storage only by the amount of storage you get for what price, you have to take into account everything else. And when comparing pCloud with other cloud storages it came to the top. Sounds like a legitimate cloud service. On the free version, I am wondering what tasks you do to keep the service free. And for a normal user with just some occasional photos, would this be plenty for me? I never really know how much space I would need. Are there other cloud services out there that are better? Their service will always remain free for you to use. At the start you have 10 GB of free storage and that will never expire. You can increase your storage to 20 GB for free by doing various tasks like refferring friends, downloading their apps, etc. Well, if 20 GB is enough for your photos then you’re on the safe side and don’t have to pay anything. pCloud is actually the highest ranked cloud storage at the moment and I believe is one of the best or even the best one. Check this list for other cloud storages. I’ve never tried pCloud before and after reading this I might go and check it out. I’ve used a few cloud services in the last couple of years with Knowhow and Dropbox being a couple of them. One thing that appealed to me straight away is the fact that the prices for the service are actually reasonable compared to some products offering the same services out there. It’s true, the prices are very competitive and reasonable. They even added a new feature recently where you can modify your own plan and decide on how much storage you actually want. I think that’s brilliant for people that might need more than those 2 TB of storage. Feel free to ask any questions if you have them. I am new to online storage. It’s a little confusing to me. I assume you do this for the protection of all your information. I have been using Google drive. 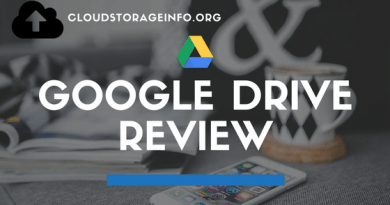 What is the difference between Google drive and pCloud and Dropbox. Would you prefer using one over the other? Thanks for sharing this info. It was very informative to me. Well, there are many advantages of using cloud storage. As you pointed out, protection, accessibility of your files anywhere and many others. You can check the full list here. In case of pCloud vs. other storages they all have their own pros and cons, however I would pick pCloud as it’s by my opinion the best solution out there. If you would like to know more about them you can look at the each review induvidually. I have my entire media collection stored on pCloud, streaming works great from there and I never had any issues. I’ve always used dropbox simply because I didn’t know this was even an option. It looks like a great product. It’s a little disconcerting that the free plan offers to encryption at all meaning your data probably isn’t secure but if you look at the different pricing plans they’re actually not that expensive at all and would be well worth your money. Even the most expensive one is under $10 a month! Your files are still protected even in the free plan. I personally use it and I don’t have the encryption plan active. I fully trust them to handle my files correctly. If you want that additional encryption that prevents literally anybody from accessing your files, then you should go for it. If you compare their prices with Dropbox you’ll see that you receive 1 TB more at pCloud for the same price ($9.99). Hopefully this deminishes your doubts. Thank you for stopping by. Really informative review Dejan. What i have to ask is, what do you think is the main plus pCloud has over Dropbox, or over other services like Google Cloud or icloud or microsoft cloud for that matter? Why would a user consider using the underdog over the other already established and probably better integrated services? Why do you think pcloud may win over them in the future? When compared to Dropbox, pCloud has a tad better prices, better download and upload speeds. When comparing additional features each of them has it’s own advantages. You can really make use of that “Team” feature with Dropbox, while pCloud offers outstanding security plans that outmatch other cloud services. I also personally interacted with both of the developing teams and had good experience with both of them. pCloud really showed that it cares for it’s users and you can see from everything they do, that they’re trying to improve their service on all ends. Hope I answered your question and thank you for stopping by. – like Cubby (now gone) and Sugarsync, you can select any folder for sync rather than organising your work into a specific folder (or using symbolic links). Thanks for sharing your thoughts. Both of the things you pointed out are very useful. I’ve been using pcloud for a while now, and personally I don’t find the negatives to be all that big of a deal. I love this service! For someone like me running a business, I feel like I would be having a hard time (well harder than what I’m already having lol) without it, so I’d recommend it. Thank you for sharing your experience with us. pCloud is definitely one of the best cloud storages you can pick from. Thanks for introducing me to pCloud. What I like about this is that they offer a good amount of free space and the upgrade is very affordable also. But most important still is the security and the fact that your file uploads are not limited which is the case with most other places. Thanks for sharing, I’ll be sure to check this out. Thank you for stopping by. pCloud is definitely a top choice if you need somewhere to save your files. I am glad that I was able to help you. I hope not to sound ignorant but must admit this site is news flash. It educates me on my search for building slide registry archive, a safety deposit box for portfolios. I’m grateful for this encounter to become aware of pCloud properties. Is there any latitude for building a slide registry? I want to build an archive of storing Fine Artist’s imagery for annual art installations & various contests, with administrative qualities. I’ll study this site more thoroughly to find out. Yes, you can do that on pCloud with no problem. Granted that you chose the right amount of storage that you will need, there is no boundries to what you can do. You can create folders and put your images in just like on your hard drive. Plus you can access them anywhere. Thanks for stopping by. I really need to pay more attention to cloud storage services, and after reading your review of this pCloud storage, i think i really should look at getting this. I really like that its easy to use like drop box, and it wont eat up the storage of my PC – does the free version have any requirements to “have to” upgrade to premium? Thanks for sharing this Dejan! Thank you for stopping by, and to answer your question, no it doesn’t. You can use the free version for as long as you want and if 10-20 GB is enough for you, then you’ve found your perfect cloud storage. Great detailed review. I love reviews like these that clearly lay out all of the information. I do have one question because you seem to know alot about cloud storage. I do a ton of file sharing of videos and images. How much space would you suggest for something like this? Well as you know it yourself videos and images, videos especially take a lot of space. You can have a 5 GB HD video in just a few minutes. If you would really want to upload loads of videos I would go for the 1 TB storage. I myself use cloud storage to upload all my images and videos and I would say that’s probably the best size, depending on the amount of stuff you upload. pCloud offers a great deal – 2 TB for 9.99$, which is quite good when compared to other cloud services. Hope this helped and thanks for stopping by. The biggest worry is security. I am very sceptical about using cloud storage and I don’t really know why, my age I suppose, very suspicious of new things. I will not use the icloud on my computer because I have a vision in my mind of my files being bandied around the ether with those clever enough, able to download them without my knowledge. After all, if 40,000 people can have their bank accounts invaded with millions of pounds stolen (Tescos Bank UK), then it’s obvious there are many clever and criminal minds out there working on how to take stuff off the internet that doesn’t belong to them. I know i probably sound paranoid but still, I would need convincing to trust that my work, which has taken years and much capital, for me to produce, will not be infiltrated. Thank you for stopping by and I must say that I understand you completely. Everybody should be careful about where they’re storing their files that are more or less significant in your life. I can’t imagine losing my photo collection or perhaps get some of the important projects that I work on, stolen from me. I can’t promise you anything, I can only speak out of experience and knowledge that I have about cloud storage. pCloud is by far one of the safest cloud storages that you can pick from. If you’re extra paranoid you can even get yourself the Crypto program for additional protection. I trust them to handle my data the way I want them to be handled and that is really all I can offer. There are many benefits if you decide to use cloud storage – check them out here. Hopefully I was able to give you some insight into what I think about pCloud. What I wrote doesn’t support all the cloud services, since there are some who don’t invest in protecting your files. You can’t go wrong with pCloud though. 2. Look at Axcrypt (www.axantum.com) – which is what I currently use. Because pCloud can be accessed through a virtual drive (P:) it makes it quite easy. I encrypt my files and then copy them to their final resting place where they get sync’d with pCloud. If I ever need to access them I use the ‘P:’ drive (seamless) or download them. Slightly less convenient but good levels of security. For the likes of music, photos and videos I trust to pCloud security since that means they are all available to me directly through a mobile device. Very good review. I like the table and videos you added, helps more when things are visual. I hadn’t heard of pcloud before, I only recently started using Dropbox actually. This sounds like a good service though and something I may need to look into. Thanks for all the information. Well I am glad I was able to assist you. pCloud is indeed getting in front of Dropbox so it might be worth a shot. Let me know how things go and thanks for stopping by! Hey this is a great review about a service I wasn’t aware of. However, I have a question. I use dropbox and gdrive personally and professionally. Most of my coworkers are not very tech savvy, and refuse to upgrade or change anything because they do not want to relearn even simple programs. Is there something besides the encryption that could be sold on them to encourage giving it a try? Well the prices are pretty much the same. However, as you can see in the review, the download and upload speeds are much better. They both offer all the features you would expect from a cloud storage. And pCloud is as simple to use as Dropbox is. I hope this helped you out. Can you use pcloud on Blackberry? pCloud doesn’t officially offer an app for Blackberry, however, you can still get it here. If you need any help feel free to contact me. Very informative information about the pCloud. I use Dropbox a lot and this is my first time hearing about this service. I like it a lot it doesn’t use your PC storage and the prices are reasonable. I will start with the free program first just to see how i like it. thank you for the info. How long have you been with pCloud? I’ve been using pCloud for about 2 months now and I’ve had no issues with it. I am also using more cloud storages simultaneously since I am reviewing a lot of them. Thanks for stopping by. PCloud looks excellent! I store all my files in my external driver, and I am really scared of losing it for some reason. I have valuable things there, like the backup of my online business and over 10,000 of pictures of my family and travel. How do you compare PCloud with free services like Google Drive? Both pCloud and Google Drive have their own free plans, pCloud with 20 GB and Google Drive with 15 GB of free storage. 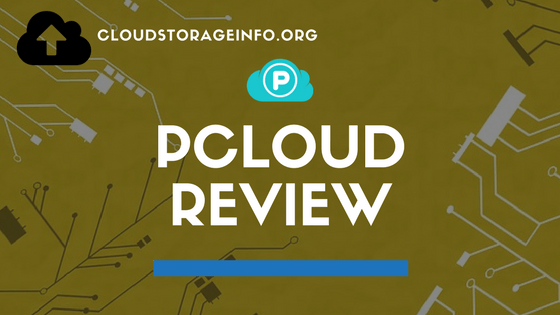 They both have different features, but pCloud ranks up higher on my Top 10 Cloud Storage Providers 2016. 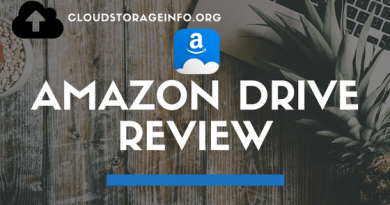 I would suggest you read the reviews and what suits you if you’re interested in getting cloud storage. Hopefully this helps you and thanks for stopping by. Thanks for the info. I have been fight the whole cloud storage thing for a while. Call me old fashion but I have had to use some services to send and share my music files to publishers. I found Dropbox very slow and it really turned me off. If something comes along with both safety and speed I am interested and dont mind paying. I will have to take a closer look at Pcloud, thank you! I am glad you found this useful. Feel free to contact me if you run into any problems. Definitely sounds like a legit company with a great service. I never thought I had a need for this type of a service, but on a recent vacation I kept running out of space for my pictures and I had to chose to delete some. So this is something that would be great. I could keep all of my pictures in one location and not have to worry about not having enough memory. I believe there’s a saying “To each his own”. If you’re used to using one service and you’re satisfied with it, there is no reason to change it. Both pCloud and Dropbox are very good cloud services and both gave their own advantages and disadvantages. Thanks for stopping by. Great review of pCloud! I’m going to have to give it a try! I like the pricing of 1TB for $96/year! I like your review because you give a very thorough review of just about everything you need to know about the service. The remote upload feature is something that is missing from a lot of the cloud storage providers, and great to see that pCloud offers this, in addition to having native apps for PC, Linux, and Mac. I am glad that you found the review helpful. 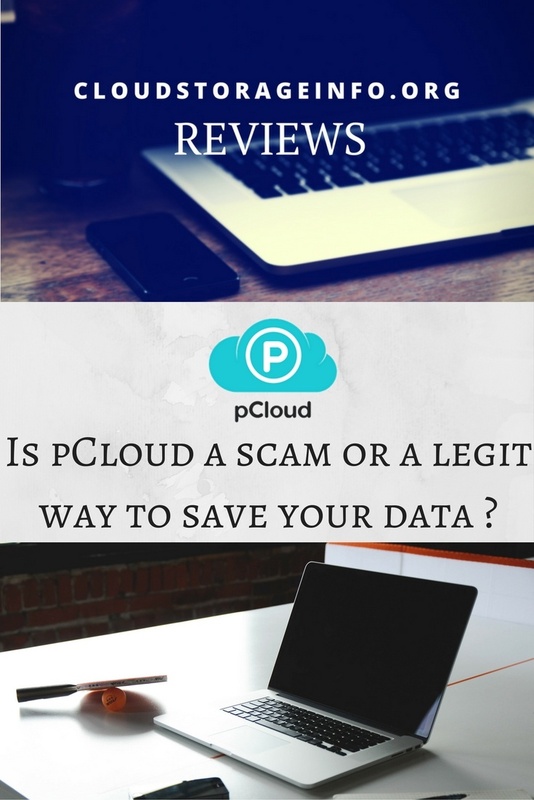 pCloud is truly one of the better options to pick from and I am sure you won’t regret it. If you run into any problems feel free to contact me. Great article Dejan, I’m always in the market for reliable cloud storage, especially the free storage. 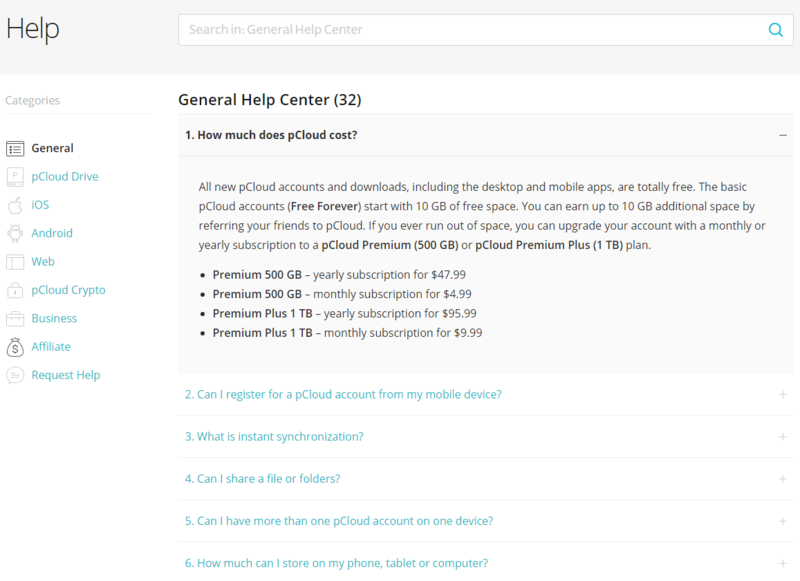 I like the fact that pCloud offers 10GB of free storage, most of the ones I have come upon only offer 5 GB. I think Cloud storage is a great service to take advantage of for doing backups of your data files, it never hurts to have 3 or more backups running in case anything should happen to your local hard drive. Well, you don’t need those 3 backups if you decide to use cloud storage. Hopefully you can find the one suitable for you. pCloud is definitely a viable option and there are so many more. Check out our top list here. Those are some nice plan options. I love storing tons of music and videos and sometimes I have a hard time managing it all between my external hard drive, my laptop, some sd cards…ah the mess! And also the risk of having something without a backup! Cloud storing is making good use of modern technology and I seriously recommend it. I am glad that you can see all the benefits of storing your files in a cloud storage. Hopefully you’ll make use of it. If you run into any problems feel free to contact me. The pCloud definitely looks like a great alternative to Dropbox and even has some similar functions to the Dropbox service. However in your opinion why should someone use pCloud instead on Dropbox? I used the free version and not aware of how much Dropbox paid service cost. Is pCloud cheaper? Is it a better choice for business use or does it have the potential to be a better service the Dropbox? Sorry if I have repeated any questions or comments above but I only read a few! When comparing Dropbox and pCloud in prices they’re pretty much the same. There is one difference – pCloud offers an additional plan with 500 GB of storage for those that don’t need 1 TB. It comes in cheaper and it’s definitely a viable choice. pCloud also has a lot better download and upload speeds when compared to Dropbox. Now that you mentioned it, I will probably be doing a comparisson on this two services since there’s obviously a lot of you who are deciding which one to choose. pCloud, if anything is a better choice for personal use. I hope that answers your questions adequately. Thanks for stopping by. I hadn’t heard of pCloud until now, I’ll definitely be checking it out. I tend to upload files quite regularly, and I’ve been looking for a replacement for Mega. If pCloud lives up to expectations, then I’ll likely sign up for the premium membership. Awesome website, and keep up the great work! Ps how did you hear of pCloud? I am glad you found the review useful. I’ve heard of pCloud from my co-worker in my firm, so I decided to try it out myself. Then I ended up doing a review on it. If you have any questions feel free to ask. Thanks for dropping by. This is great! I know that storing all my articles that I write as a freelance writer should not be stored on my computer, because of something happens such as a computer crash or the computer gets hacked with ransom ware i am toast. Ten gig for free and five bucks a month is really something i can afford. Well, I can’t say I disagree with you :). Getting the files that are important to you on a quality cloud storage will definitely provide additional safety. I like to backup my files using a few different methods. I like to use flash drives and portable hard drives. I do need to use a cloud service just in case my home was ever burgled. What I’m wondering though is can I upgrade during my year of membership to the next level up? Hello there, sorry for the late reply. I actually had to contact pCloud support for the question as I wasn’t sure how it exactly works. If you decide to upgrade your Premium account to Premium plus, you can visit our Plans and Pricing page. There, on the desired plan, you will see the Upgrade button, once you proceed to checkout, you will be charged only the amount needed for 6 months and the addition to the six months you already have paid for. The price will be adjusted accordingly and automatically. I hope you find that helpful. If you have any additional questions feel free to contact me. This is great! There is so much good cloud storage information here. I don’t think I’ve ever seen a page like this before that breaks it all down so well. What I also like is how you take the time to show me how to use the storage software. Very thorough, very enjoyable. Thanks. I am glad you find it useful. Thanks for stopping by. Great article, looks like pCloud has a ton of useful features. I have never really used Cloud storage properly, but often find myself out and about and needing a certain file from home. I think I might grab a free account and see what happens, thanks again! That’s good to hear. If you will need anything or have any additional questions feel free to e-mail me. I haven’t heard of this cloud platform before. It looks awesome! The first storage platform I ever used was Dropbox until I started using Google Drive a couple of years ago. How will you compare pCloud to Google Drive? Which one do yo prefer? Thanks for the review Dejan! It’s a platform worth looking at. Both Dropbox and Google Drive are decent platforms as well. Unfortunately I still haven’t reviewed Google Drive. You can see the review on Dropbox here. I hope you will find some answers there, and make sure to check every once in a while. Fresh reviews are being added constantly. Thank you very much for the information you provided. I will bookmark these two reviews to check them once in a while for new updates. I am glad I was able to help you. Feel free to contact me if you run into any problems. Thank you for sharing cloud storage info with us in your article today, this is something we all hear about but many of us really do not know all that much about. What is your recommendation for the different plans, how would one choose which plan is best for them if they are not up on all the computer stuff? – If you’re an average user that needs up to 20 GB of storage go with the free plan. There’s nothing you will be missing. – If you need more storage than that go with the premium or premium plus plan. When we’re talking about additional features, you don’t gain much since most of them are already included in the free plan. One feature that is noticeable is the live chat (for support) in the premium plus plan. – Business plan, if you need to organize group and team folders that specific people can access. Plus you get the free Crypto plan. – And you can add the Crypto to any of those posted above. This allows you to encrypt your files. Choose this option if you’re uploading something “delicate” to the cloud. This seems like a very useful service to have. It looks very comprehensive and easy to use. With the increasing number of people storing a lot of data online, this is definitely worth looking into. The subscription fees are very affordable too. Perfect for students who are in a part time job, and needs that extra space online. It’s also great that there is a mobile application for this. Great review! I can’t agree with you more. As I mentioned in the review it’s rather easy to use and pricing & plans are decent. Great for really anyone out there. Thanks for the feedback, I appreciate it. If you have any additional questions just ask here or send me an e-mail to dejan@cloudstorageinfo.org. Really liked your review of Pcloud. It seems like a top notch platform of cloud storage. Thanks for bringing it to my attention. I just have one comment to make on your layout. Although it is clean with pictures and i generally like it, i think that you should have made the introduction of pcloud earlier in the page, as in above the fold(like it’s called). That would keep more visitors who didn’t know what it is like me. pCloud is by my standards definitely one of the bigger and better cloud storages that you can pick from.